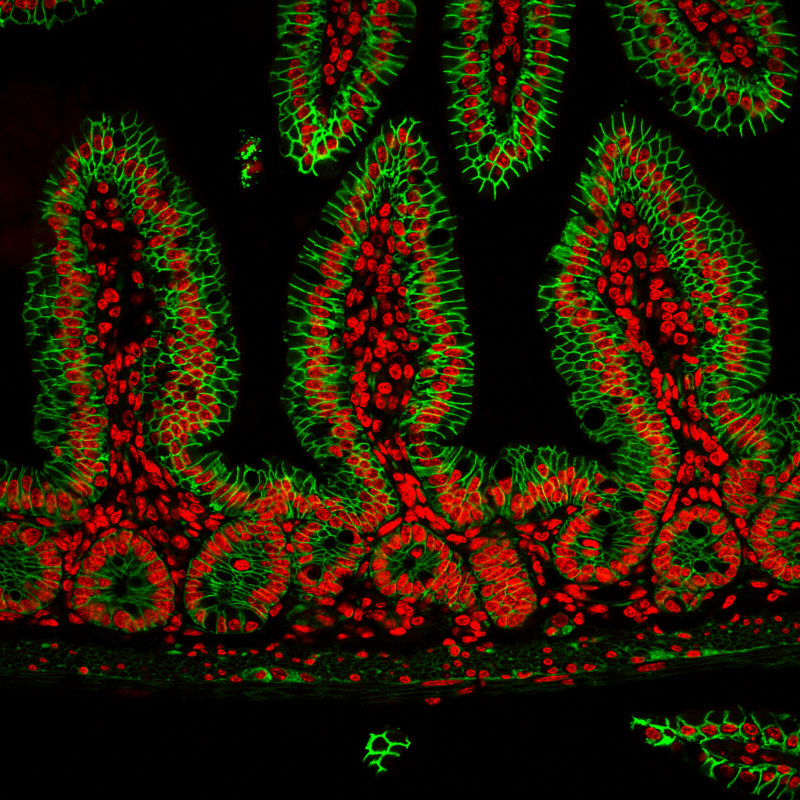 Imaged on the Leica SP5 confocal microscope: Mouse Jejunum, stained with NaK-ATPase in green and nucleus in red. Imaged on the Leica SP5 confocal microscope: Rabies virus labeled monosynaptic inputs onto birth-dated, adult-born neurons in the epileptic rat dentate gyrus. 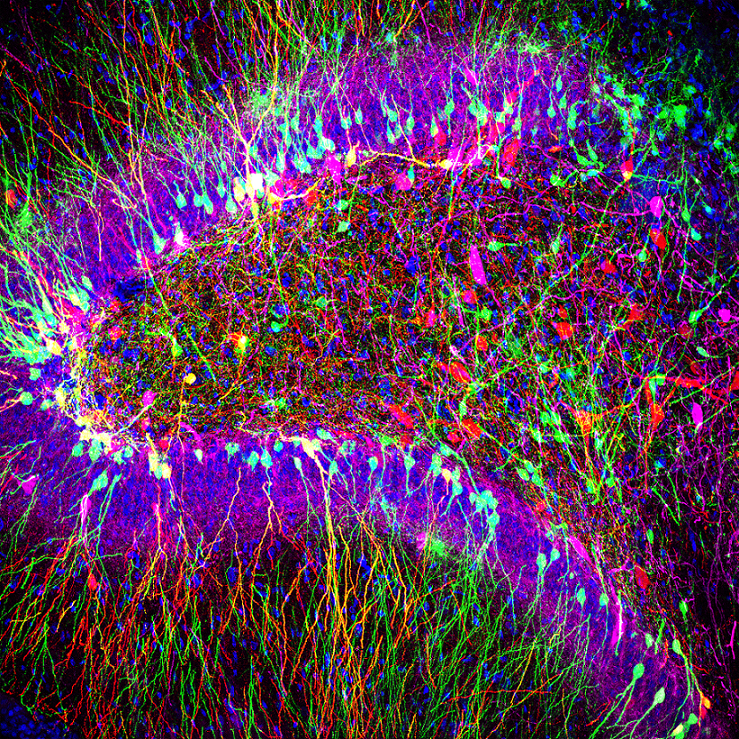 Red is rabies-mCherry, retrovirus-birthdated neurons labeled with GFP (green), interneurons labeled with parvalbumin (magenta) and Hoechst nuclear stain (blue). 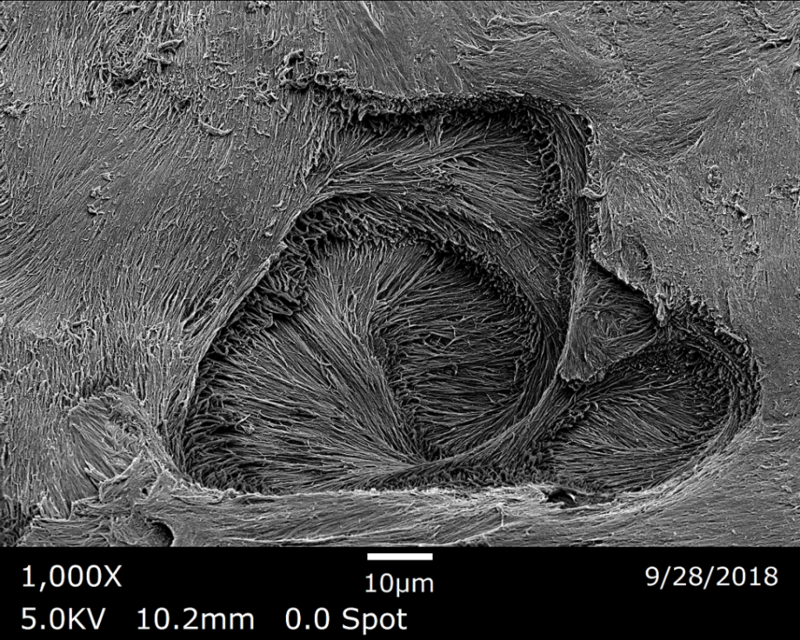 Imaged on the Amray SEM: A resorption crater created by osteoclasts on bone ex vivo, after removal of the osteoclasts. 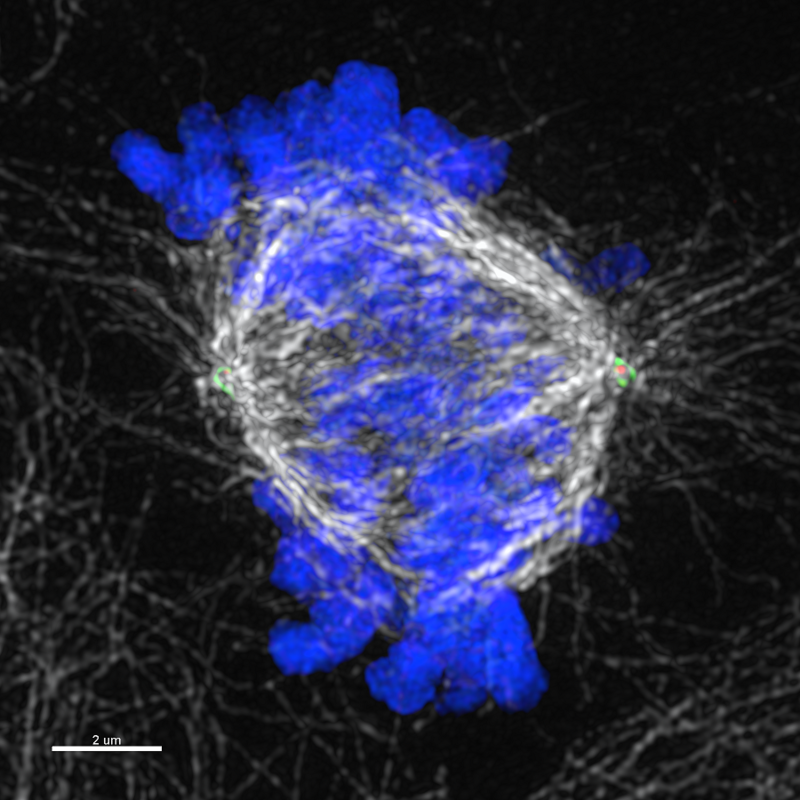 Imaged on the Nikon N-SIM super resolution microscope: The image of interphase U2OS cell showing tight junction protein occludin is phosphorylated on Ser490, colocalizes with centrosomes marker Î³-tubulin and localizes within Î³-tubulin ring complexes (Î³-TuRCs) at the center of microtubule spindle poles indicating occludin phosphorylation at the centrosome may play an important role in driving cell division. 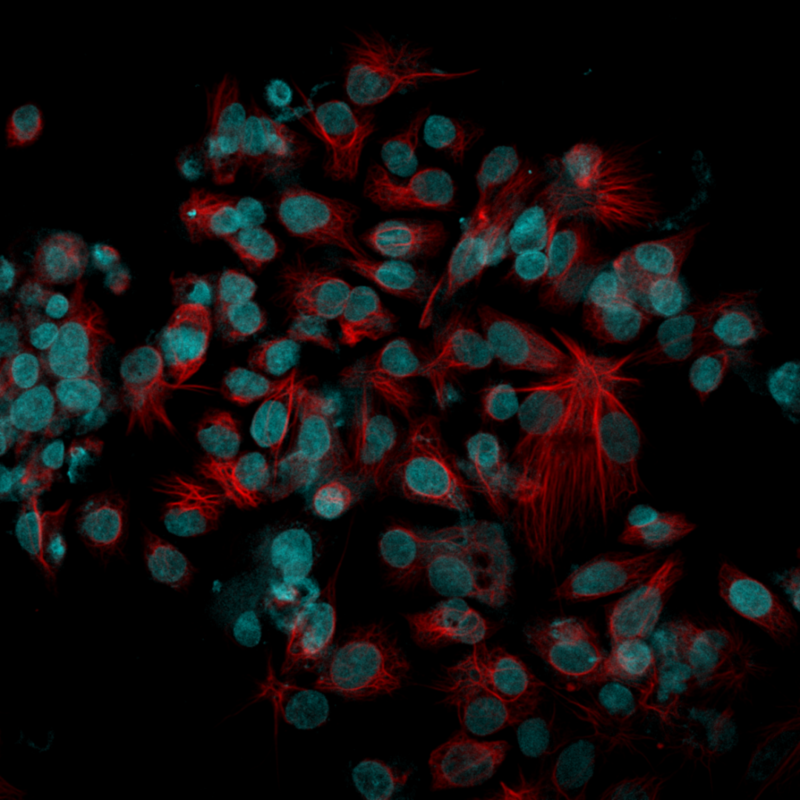 Imaged on Leica SP8 confocal microscope: Human hepatocellular carcinoma cell line. Congratulations to our winners and a huge thank you to all who participated in the first annual contest, we hope to continue this tradition and cannot wait to see what images you have in store for us in the future! Images published with permission from their respective owners.